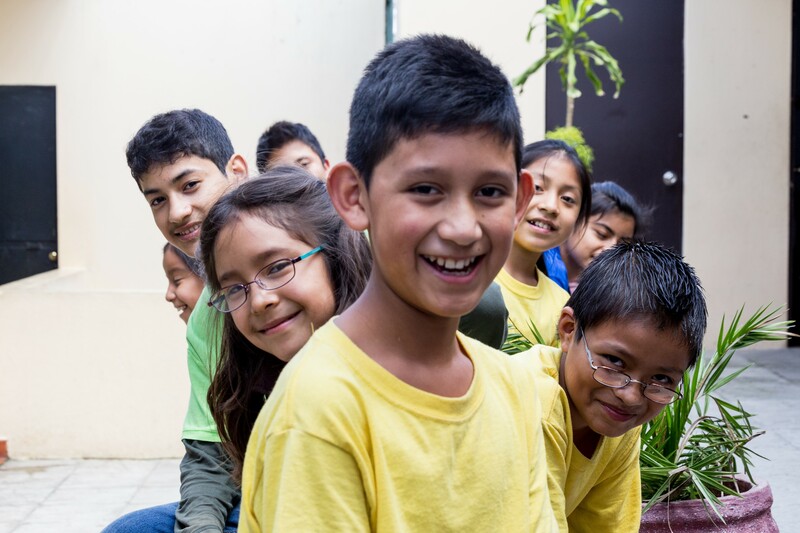 Esperanza Juvenil (Boys Hope Girls Hope Guatemala) helps academically motivated children and youth rise above disadvantaged backgrounds and become successful in college and beyond. Our goal is to develop young people who are physically, emotionally and academically prepared for post-secondary education and a productive life, breaking the cycle of poverty. Esperanza Juvenil firmly believes that children have the power to overcome adversity, realize their potential, and help transform our world. Children create these successes when we remove obstacles, support and believe in them, and provide environments and opportunities that build on their strengths. Boys Hope Girls Hope helps academically capable and motivated children-in-need to meet their full potential and become men and women for others by providing value-centered, family-like homes, opportunities and education through college. Since 1992, Esperanza Juvenil has been helping scholars rise up from disadvantaged backgrounds and strive for more. Esperanza Juvenil serves children and youth who want to go to college and create successful futures for themselves. Our scholars have joined our program to receive support on their journey to college and beyond. They seek the academic resources, extracurricular opportunities, and mentor relationships we provide. Esperanza Juvenil was established in Guatemala City in 1992. We opened our 4th house to help 12 new girls. The Esperanza Juvenil Elementary School opened in January of 2008. The Esperanza Juvenil Middle School opened in January of 2010. Rodolfo, first college graduate of Esperanza Juvenil. Opened our 9th house to serve 12 new girls. The Esperanza Juvenil Board of Directors and staff leadership collaborate to ensure mission fidelity, financial stewardship and transparency. This team of professionals is committed to continuous learning, effective programming and improvement through impact evaluation and innovation. Prior to joining our program, our scholars’ circumstances include environmental barriers that make it difficult to concentrate on achieving their goals. The relationship between educational failure and poverty creates a vicious cycle that affects too many children in our communities and negatively impacts our entire society. Children born into poverty are six times more likely to drop out of school (Cities in Crisis, 2008). The longer a child lives in poverty, the lower their overall level of academic achievement (Guo and Harris, 2000). Children from families in the highest income quartile are 8 times as likely to earn a college degree that those from the lowest income quartile (Pell Institute and Penn Ahead, 2015). In 1980, college graduates earned 29% more than those without. By 2007, that gap grew to 66% (Baum & Ma, 2007). According to CEOs for Cities, every one percentage point increase in adult four-year college degree attainment adds an additional $763 to per capita income per year (One Student at a Time, 2013). Cohen and Piquero (2009) monetized the cost to society over the course of a “negative outcome” child’s lifetime as follows: High School Dropout = $390,000 - $580,000, Plus Heavy Drug User = $846,000 – $1.1 Million, Plus Career Criminal = $3.2 - $5.8 Million. Invest in the success of our scholars!